Career impact – does your job prohibit refractive surgery? Cost – can you really afford this procedure? Medical conditions – e.g., do you have an autoimmune disease or other major illness? Do you have a chronic illness that might slow or alter healing? 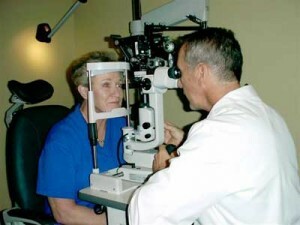 Eye conditions – do you have or have you ever had any problems with your eyes other than needing glasses or contacts? Medications – do you take steroids or other drugs that might prevent healing? Stable refraction – has your prescription changed in the last year? High or Low refractive error – do you use glasses/contacts only some of the time? Do you need an unusually strong prescription? Pupil size – are your pupils extra large in dim conditions? Corneal thickness – do you have thin corneas? Overtreatment or undertreatment – are you willing and able to have more than one surgery to get the desired result? May still need reading glasses – do you have presbyopia? Results may not be lasting – do you think this is the last correction you will ever need? Do you realize that long-term results are not known? Development of visual symptoms – do you know about glare, halos, starbursts, etc. and that night driving might be difficult? Contrast sensitivity – do you know your vision could be significantly reduced in dim light conditions? Patient information – have you read the patient information booklet about the laser being used for your procedure? 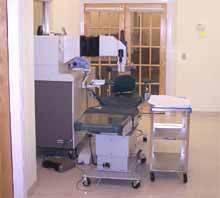 Experienced – how many eyes has your doctor performed LASIK surgery on with the same laser? 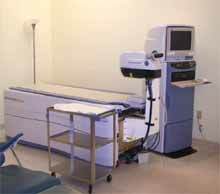 Equipment – does your doctor use an FDA-approved laser for the procedure you need? Informative – is your doctor willing to spend the time to answer all your questions? Long-term Care – does your doctor encourage follow-up and management of you as a patient? Your preop and postop care may be provided by a doctor other than the surgeon. Be Comfortable – do you feel you know your doctor and are comfortable with an equal exchange of information? No contact lenses prior to evaluation and surgery – can you go for an extended period of time without wearing contact lenses? Have a thorough exam – have you arranged not to drive or work after the exam? Read and understand the informed consent – has your doctor given you an informed consent form to take home and answered all your questions? No makeup before surgery – can you go 24-36 hours without makeup prior to surgery? Arrange for transportation – can someone drive you home after surgery? Plan to take a few days to recover – can you take time off to take it easy for a couple of days if necessary? Expect not to see clearly for a few days – do you know you will not see clearly immediately? Know sights, smells, sounds of surgery – has your doctor made you feel comfortable with the actual steps of the procedure? Be prepared to take drops/medications – are you willing and able to put drops in your eyes at regular intervals? Be prepared to wear an eye shield – do you know you need to protect the eye for a period of time after surgery to avoid injury? Expect some pain/discomfort – do you know how much pain to expect? Know when to seek help – do you understand what problems could occur and when to seek medical intervention? Know when to expect your vision to stop changing – are you aware that final results could take months? Make sure your refraction is stable before any further surgery – if you don’t get the desired result, do you know not to have an enhancement until the prescription stops changing? We also have free LASIK screenings at the Lange Eye Institute in The Villages. Call 352 753-4014 or toll free 1 888 781 2020 for an appointment. This entry was posted in Lasik Articles on October 4, 2013 by Acceleration. For over 25 years doctors placed incisions in the cornea to treat nearsightedness, farsightedness, and astigmatism. In the early 1980’s, they began looking at lasers to improve the precision and predictability of altering the shape of the cornea. Researchers found that the Excimer laser could remove tissue with up to 0.25 microns of accuracy. Now, in its second decade of use, the technologically advanced Excimer laser has added a tremendous amount of precision, control and safety to the surgical correction of vision errors. Using this remarkable technology, the cornea is reshaped to conform to your glasses or contact lens prescription, thereby reducing or even eliminating a lifetime of dependence on corrective lenses for hundreds of thousands of Americans every year. LASIK, or Laser in-Situ Keratomileusis offers a number of benefits over other forms of laser vision correction because it is performed under a protective layer of corneal tissue. As a result, there is less surface area to heal, less risk of scarring, less risk of corneal haze, less postoperative discomfort, less postoperative need for medications, and vision returns more rapidly, often within a day or so. LASIK can also treat a higher range of vision errors. Although postoperative results vary, most patients are able to pass a driver’s license test without their glasses or contact lenses. After your eye has been completely numbed using “eye drop” anesthesia, an eyelid holder will be placed between your eyelids to prevent you from blinking. Next, an instrument known as a microkeratome makes a protective flap in the cornea. During this process you may feel a little pressure, but no discomfort. 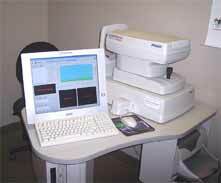 You will be asked to look directly at a target light while the laser reshapes the cornea, usually in less than a minute. Then, the protective flap is folded back in place where it bonds securely without the need for stitches. After LASIK, some patients report a slight discomfort that usually goes away within twelve to twenty-four hours. Myopia or nearsightedness occurs when light rays are focused in front of the retina instead of directly on the retina. Hyperopia or farsightedness occurs when light rays are not bent enough to focus on the retina. Regular astigmatism occurs when light rays are focused at more thane one point on the retina. The Excimer laser removes microscopic layers of corneal tissue to change its shape, allowing light rays to focus more directly on the retina. To treat nearsightedness, the cornea must be made flatter. This is accomplished by removing tissue from the center of the cornea. In general, the ideal candidate for LASIK is over 18 years of age and has healthy corneas. Candidates must not have had a significant increase in their prescription in the last 12 months. People with certain medical conditions or women who are pregnant may not be good candidates for LASIK. The decision to have LASIK is an important one that ultimately, only you man make. It is important that you have realistic expectations and that your decision is based on facts, not hopes or misconceptions. The goal of LASIK is to reduce your dependence on corrective lenses. LASIK does not always create 20/20 or even 20/40 vision. It cannot correct a condition known as presbyopia, or aging of the eye. This normally occurs around age 40 and may require the use of reading glasses. In fact, people over 40 who have their distance vision improved with LASIK, may find they need reading glasses after the procedure. Your doctor will provide you with additional information that will allow you to make an informed decision. It takes only seconds to treat a lifetime of nearsightedness, farsightedness and astigmatism. Find out if you are a candidate for this life changing procedure by calling your eye doctor to schedule a personal consultation. Should your vision fall within the range of correction for LASIK, more comprehensive tests may be necessary. Dr. Lange at Lange Eye Care and Associates will give free LASIK screenings to see if you are a candidate for Refractive Surgery. Today there are many different forms of Refractive Surgery, LASIK being the most popular. However, everyone is not a candidate for LASIK Surgery. Dr. Lange will go over every Refractive Surgical Option or alternative to eliminate the need to wear glasses or contacts. 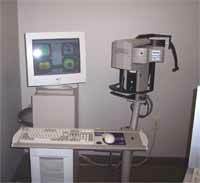 Technological advancements are made yearly in the Refractive Surgical arena. Dr. Lange stays up on all the latest advancements and advises his patients accordingly. Come in for your FREE LASIK screening at one of our locations. We also have free LASIK screenings at the Lange Eye Institute in The Villages. Call 352 753-4014 or toll free 1 888-781-2020 for an appointment.